Wilhelm Kahlo (26 October 1871 – 14 April 1941 ) was the father of Frida Kahlo. He was born in the German Empire, son of a well to do jeweler. He attended the University of Nuremberg and later travel to Mexico in 1891 . It is interesting to note that his father paid for his trip as he did not get along well with his stepmother. In Mexico, he changed his name from Wilhelm to Guillermo ,worked as a photographer and held a liberally inclined set of views. He married Matilde Calderon a Mexican conservative deeply devoted to her Catholic faith. During her childhood, Frida was drawn more closely to her father than her mother since Frida couldn’t relate to the traditionalist view of women that the latter personified. Through this different type of thinking she developed animosity towards the Catholic Church and became more drawn to her father’s intellectual pursuits of photography, reading and painting. 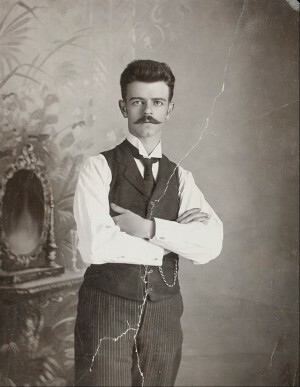 Guillermo Kahlo’s success as a photographer landed him a job with the Mexican Government and its leader, Porfirio Diaz. The Diaz regime was characterized by its adherence to a Darwinian type of social philosophy centering on the concept of “survival of the fittest”. 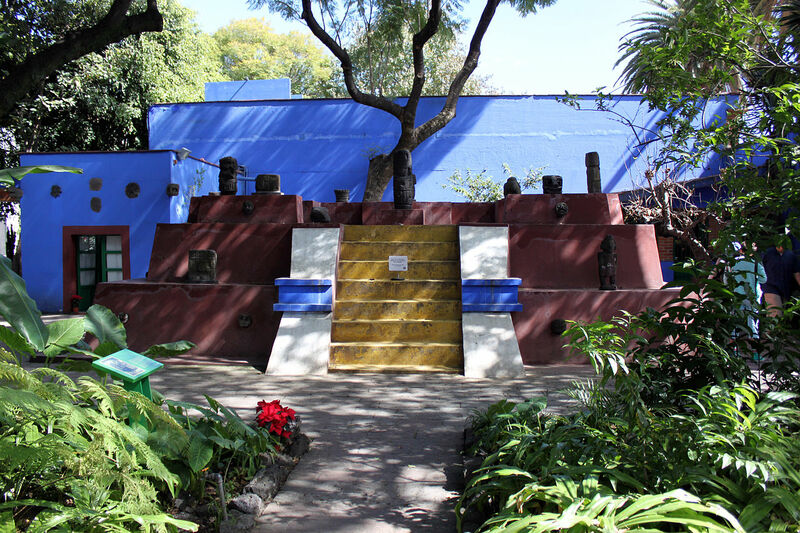 Kahlo documented with his pictures, churches, landmarks, monuments, streets, as well as factories and companies in Mexico.